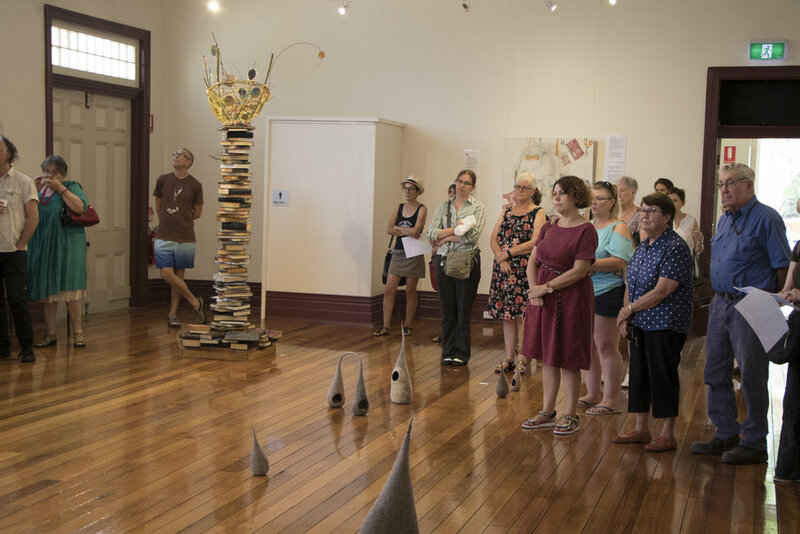 In February 2018 Western Riverina Arts hosted its third exhibition as a part of the Activating Narrandera Arts program Push the Medium curated by Alex Wisser. 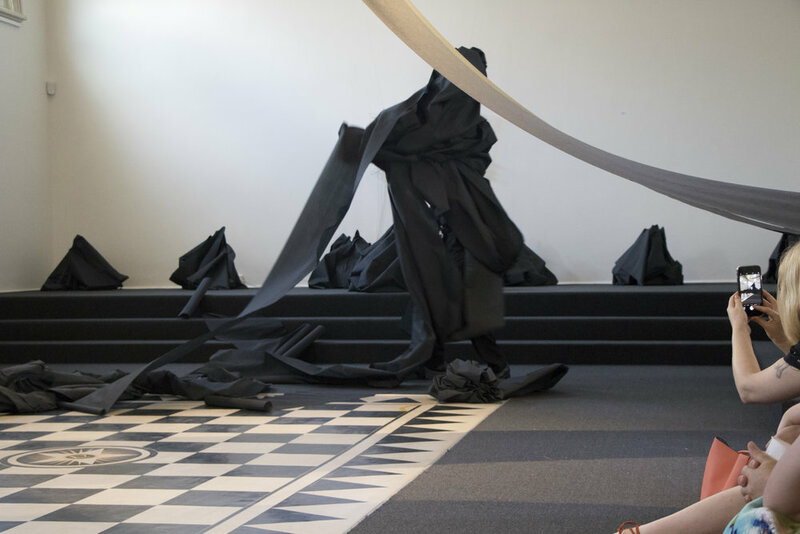 RADO Derek Motion met Wisser at the Cementa Festival in 2017 and through further connection employed him to curate this exhibition. 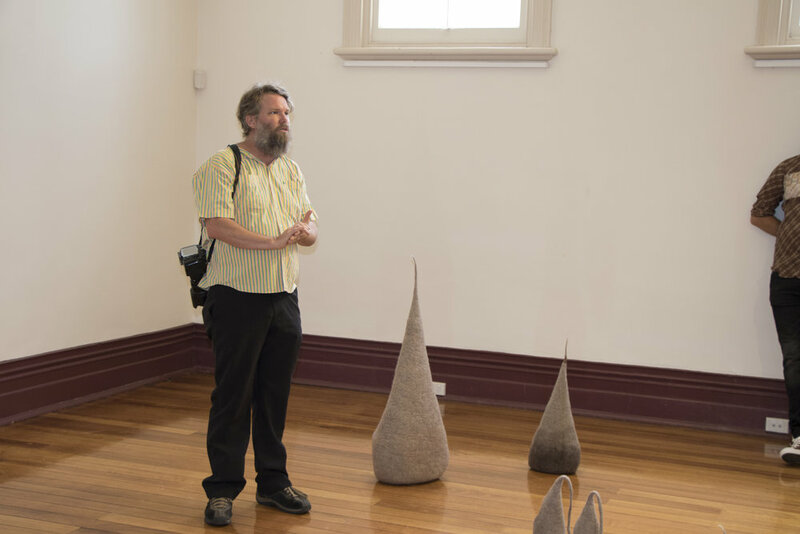 Push the Medium was a collaborative exhibition of works by artist from Sydney and Regional NSW. Wisser implored each of the artists to take their usual medium and push it beyond their usual limitations. Push the work out of their comfort zone and use experimental techniques. 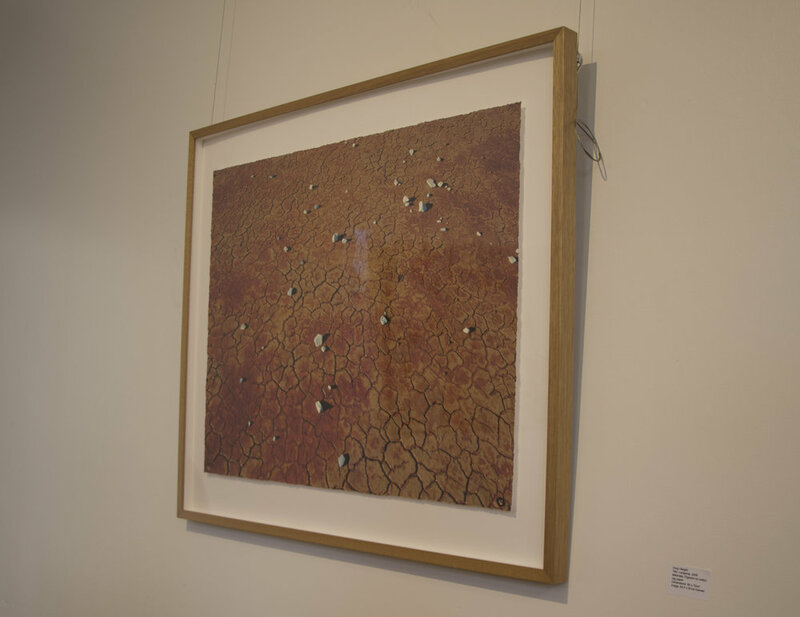 The exhibition included work by Nola Farman, Melanie e Khava, Georgie Pollard, Karen Golland, Kurt Sorensen, Corrie Furner, Julie Montgarrett, Jessica Forster, Greg Weight, Leo Cremonese, James Farley and Jacob Raupach. 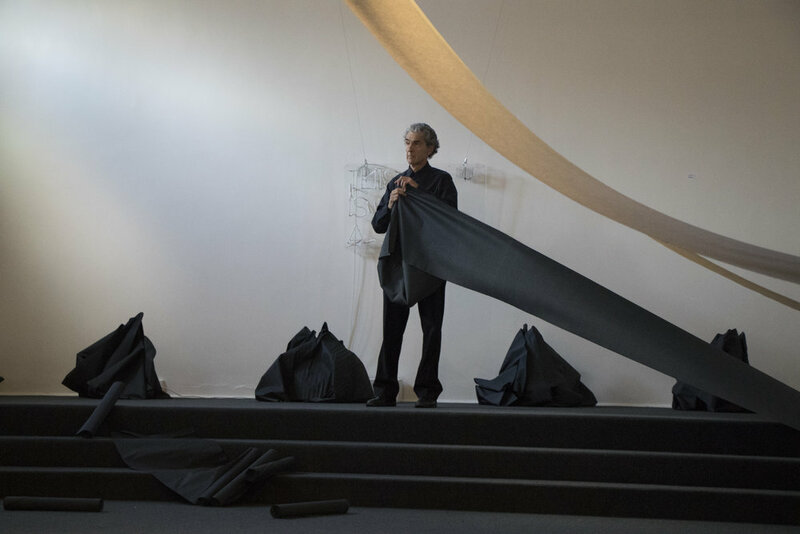 The exhibition opening was held on Sunday 4th February with about 40 in attendance and included a live performance piece by Sydney-based performance artist Alan Shacher. 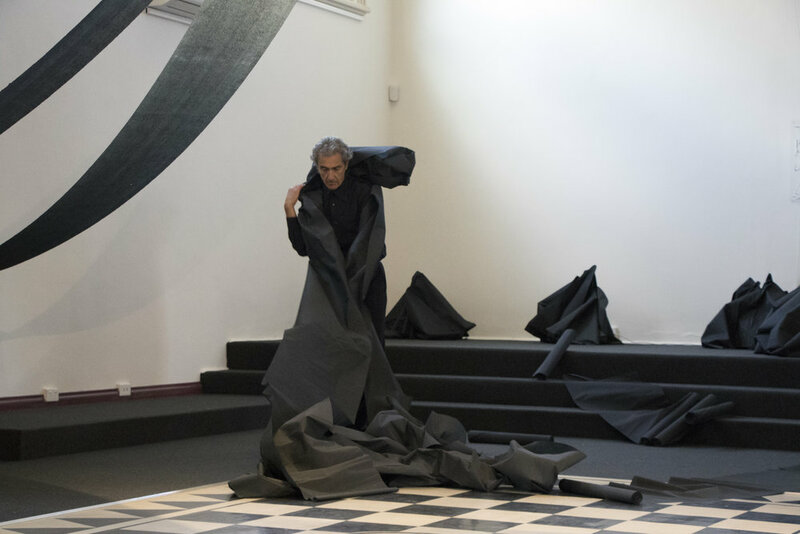 Dressed in black, Shacher unravelled lengths of black crepe paper one by one and then proceeded to move about tangling himself in the paper until he was one moving black mass. 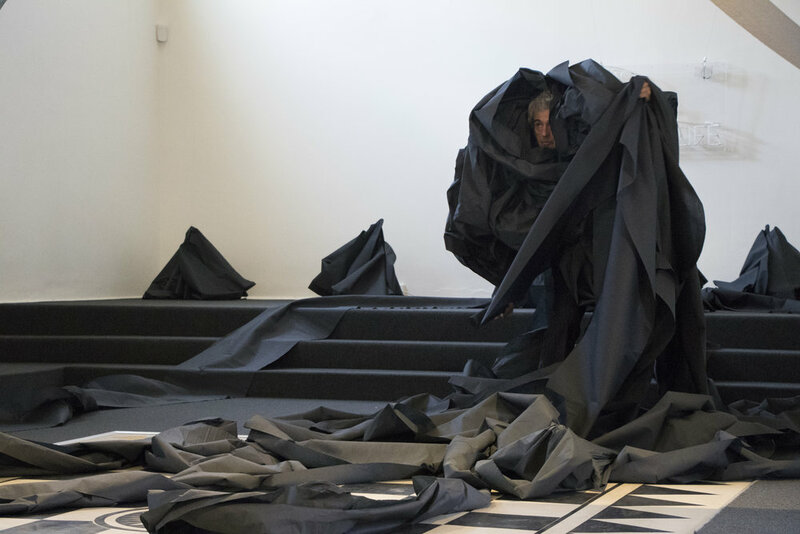 Prior to the exhibition opening Schacher held a performance art workshop for a small group of locals. 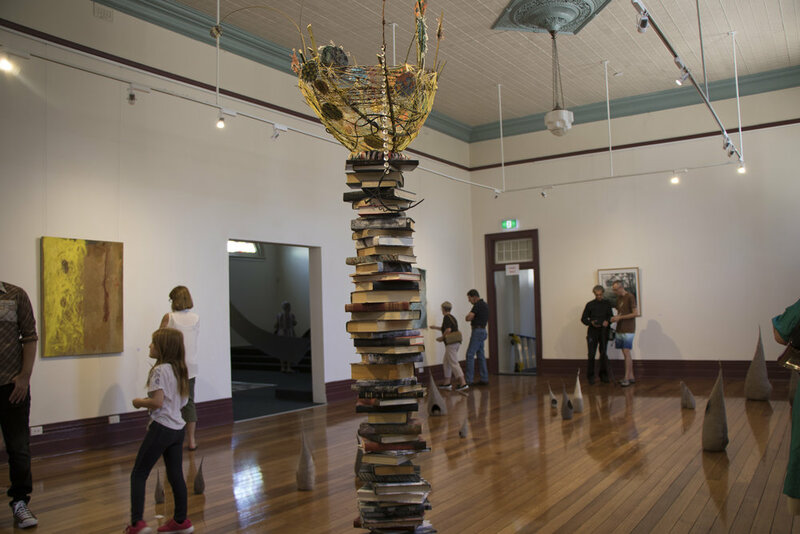 Push the Medium gave residents of Narrandera and beyond the opportunity to see and experience the work of artists from other areas. It also gave the opportunity for to create new connections between artists, professionals and members of the local creative community.